"Our mission is to spread awareness of the realities of life on the autism spectrum and support the development of autism services. Autism Oxford UK brings together people who seek knowledge and understanding of the autism spectrum and autistic behaviour with those best able to impart it." We organise autism awareness training sessions for organisations locally & nationally. 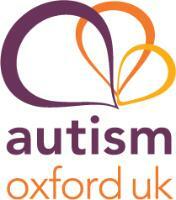 We provide the Oxfordshire Autism Alert Card to all on the autism spectrum who live in Oxfordshire. We provide a referral service (accessed through your GP) for Oxfordshire adults without a learning disability seeking an autism diagnostic assessment. We also signpost and support the development of autism-specific support services. The office is manned part-time on most days of the week, please call or email us to find out about how to book our training team, our events, the autism referral service etc. Our web-site has lots of useful information & links.